Shara Wasserman is an American art historian and curator of contemporary art. She directs the Temple Rome Gallery of Art at Temple University in Rome, where she is also a faculty member in the Art History program. In addition, Wasserman has curated numerous international exhibitions in public and institutional spaces. In Rome, she will take IDSVA students on a tour of museums and contemporary artist studios. Franco ‘Bifo’ Berardi: Leading contemporary Italian philosopher and author of And: Phenomenology of the End, The Uprising: On Poetry and Finance, and After the Future. Franco ‘Bifo' Berardi will lecture on current European art, politics, and economics in relation to the theme of courtesy (la cortesia). Howard Caygill: Considered one of the most important European philosophers of our time, author of On Resistance: A Philosophy of Defiance, and Kafka: In the Light of the Accident, Howard Caygill will give a seminar on Kafka as a Berlin writer, and a lecture on the theme of the fungal anthropocene in relation to John Cage and Anna Tsing’s philosophies. Santiago Zabala is ICREA Research Professor of Philosophy at the Pompeu Fabra University, Barcelona. He is the author, with Gianni Vattimo, of Hermeneutic Communism: From Heidegger to Marx; and most recently of the book Only Art Can Save Us: Aesthetics and The End of Emergency, which will provide the theme of his lecture in Berlin. Silvia Mazzini is Assistant Professor at the University of the Arts in Berlin and works as theatre author for several theatre companies. She is author of Für eine mannigfaltige mögliche Welt: Kunst und Politik bei Ernst Bloch und Gianni Vattimo (For a Many-fold Possible World: Arts and Politics in Ernst Bloch and Gianni Vattimo) and of numerous articles on aesthetics, political philosophy, and theatre sciences. She will discuss with Santiago Zabala her co-edited book Making Communism Hermeneutical: Reading Vattimo and Zabala. 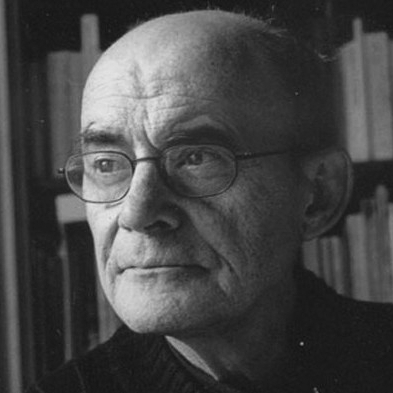 Jean-Luc Nancy: world-renowned French philosopher Jean-Luc Nancy has written more than twenty books and hundreds of texts or contributions to volumes, catalogues and journals, including The Inoperative Community (1991), The Sense of the World (1997), Being Singular Plural (2000) and numerous studies on art, community and contemporary society. Nancy deals with the question of how we can still speak of a 'we' or of a plurality, without transforming this 'we' into a substantial and exclusive identity. What are the conditions to speak of a 'we' today? Giovanni Tusa: philosopher, media researcher, documentary filmmaker and video artist, Giovanni Tusa is currently a IFILNOVA-FCT Research Fellow at the Universdade Nova of Lisbon. Visiting Lecturer in Philosophy and Critical Theory in many institutions in Europe and the US, he is the Co-author of De la Fin, with Alain Badiou. In the IDSVA Paris symposium with Jean-Luc Nancy, he will explore the boundaries between man and animal, animate and inanimate, life and non-life. David Driskell: Artist-philosopher, printmaker, painter, curator, and art historian David Driskell is the founder of the David Driskell Center for the Study of the Visual Arts and Culture and the African Diaspora, at University of Maryland, College Park. His art is to be seen in numerous collections worldwide, including the Colby College Museum of Art, where he will lecture on how to look at a work of art.